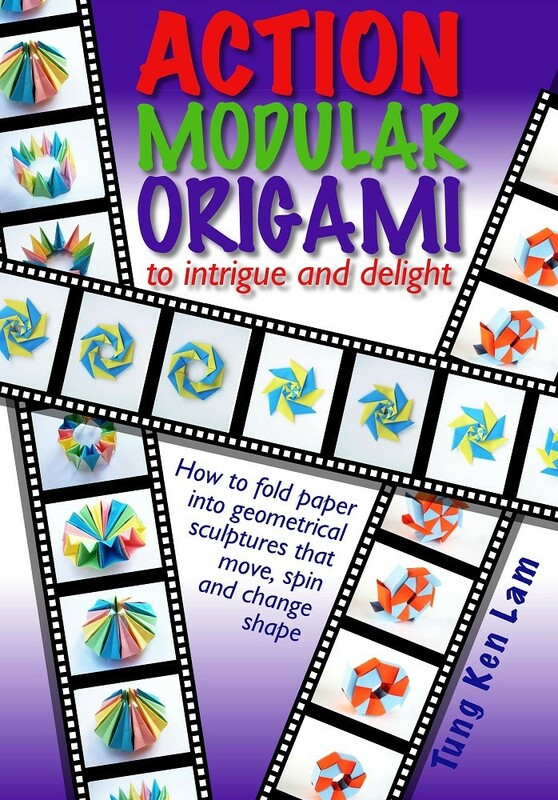 Action Modular Origami to intrigue and delight is now available from Tarquin Group [ISBN: 9781911093947 (book) and 9781911093954 (ebook)]. You can buy it direct from the publisher, wholesalers like Gardners or retailers like Amazon. You can see an animated table of contents. See here for updates and extra material.